brings the sounds of nature indoors! Be the first in your neighborhood to hear the spring birds; relax at night with the sounds of crickets without worrying about open windows; listen to your children playing outdoors without an open window letting allergens in or the air conditioning out. This monitor also doubles as a security device, allowing you to hear what's going on outside your home while you're secure behind closed doors. 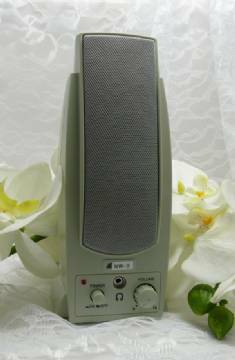 The NW3-Custom unit consists of a base (speaker) unit, with a microphone at the end of a wire which is passed through an open window. The window is then closed, and the microphone picks up sounds from outside the window and transmits them to the included base speaker unit. The NW3-Custom is available with several options, as outlined below. Unit color varies - may be black or off-white, depending on stock. We cannot guarantee color of unit you will receive. Color of wiring may vary. Standard US shipping for custom units is by UPS Ground. (Non-custom units ordered from this page may ship USPS - we prefer you order these units from NW3-Standard page instead. )Shipping to Canada by USPS. No guaranteed delivery date. Average order processing time before shipping is 1-5 business days. Please allow additional processing time for shipments to Canada. 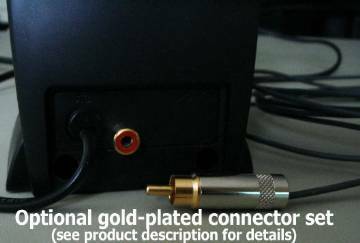 Available for shipment to the Contiguous U.S. and Canada. All other customers please contact Customer Service for a custom quote on shipping. Delivery of units to a PO Box may carry an additional charge. Please contact Customer Service for details. Click here to see what others are saying about this product. 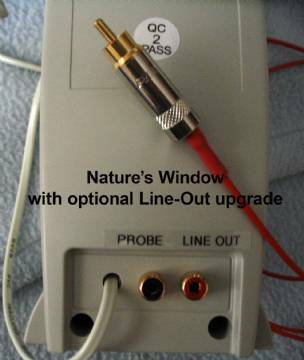 This version of the Nature's Window Monitor can be ordered with several different options, making your Nature's Window even more versatile. Longer probe wires will allow you to pick up sounds that may be further from your windows. We want you to be completely happy with your Nature's Window unit. Taking a few moments to review the additional documentation and FAQ page before placing your order will help to ensure that the unit you order is the one best suited to your needs. NW3-C units are custom made to your specifications and are not returnable, other than to repair or replace units that arrive in damaged condition. We cannot make exceptions, so please order carefully. * Manufacturer's warranty covers repair or replacement of defective units. See Nature's Windows FAQ for details. Defective units or units damaged in shipping may only be returned for repair with prior authorization. Please review our Terms and Conditions page for special rules regarding returns of electronic equipment. If you choose "No" to ALL of the options below, please order the STANDARD UNIT to save on shipping!